JRMY, born in 1992 on the 9th of july, began his events career at the age of 16 by organizing commercial events in clubs together with a partner. Because these parties were such a success, they kept on growing. JRMY got attracted to the DJ business and wanted to give the crowd an evening they will never forget. He decided to start a DJ career and become a resident DJ at his own parties. 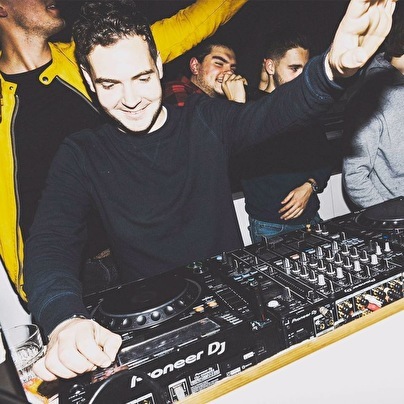 After one year JRMY has become one of the best upcoming DJs in Amsterdam and is still playing at many famous clubs and events. JRMY's ability for fast anticipating to the crowd and eclectic DJ style makes him a DJ which people love to see perform. At this moment, JRMY is active as a permanent CLV resident. Jimmy Woo, Paradiso, AIR, Bitterzoet, Supperclub, Escape and Club Home are just a few examples of all the big clubs JRMY performed. JRMY is not only active in The Netherlands. He has already played at a couple of major cities such as Valencia, Barcelona & Tel Aviv. JRMY's genres are R&B and Hip-Hop, influenced with some modern House music.